but I found a better way to take it home. 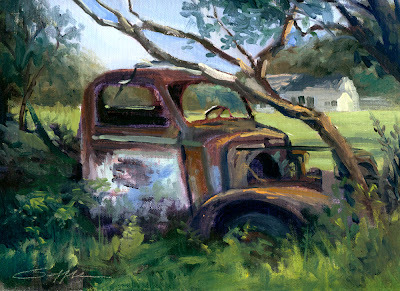 Another great painting from Award Winning Artist, Randy Saffle. Beautiful painting. Hope to see you at Waxahachie. I think you found your niche. Tornados, John Budicin and Phthalo Green! !